“From May to September 1947,” a CIA information report reads, “three light phenomena happening at intervals of about 15 minutes were seen almost every night between 9 and 10 p.m. local time.” At its highest point, the light seemed to be roughly a fifth the diameter of a full moon. A daily newspaper in Vienna, of all publications, reported on a peculiar sighting of “two fiery disks” hovering over uranium mines in mid-August, 1952. With all these reports coming in, it didn’t take long for the CIA to get suspicious. In August 1952 (keep in mind, still two months ahead of its memo on those two national security concerns), the Deputy Assistant Director of the Scientific Intelligence office released a memodiscounting the threat posed by UFOs. “Of 1000 to 2000 such reports received by ATIC (Air Technical Intelligence Center), a large percentage are clearly ‘phoney,'” the report reads. In fact, many of the reported flights were easily explained as known missions using US equipment, the report went on. Owing to the agency’s uncertainty, however, the Deputy AD recommended CIA surveillance continue on the mysterious “flying saucers” under the cover of darkness. The CIA published this internal document reporting on one German man’s fantastic account of a 45-foot-wide disk he spotted in a forest when his motorcycle broke down. Accompanied by his 11-year-old daughter, the man approached the strange-looking object to find two men in “shiny metallic clothing” kneeling over the disk, which had a cone-shaped capsule on top. The sightings followed two other incidents in July and August, one over Greece and another over Spain. 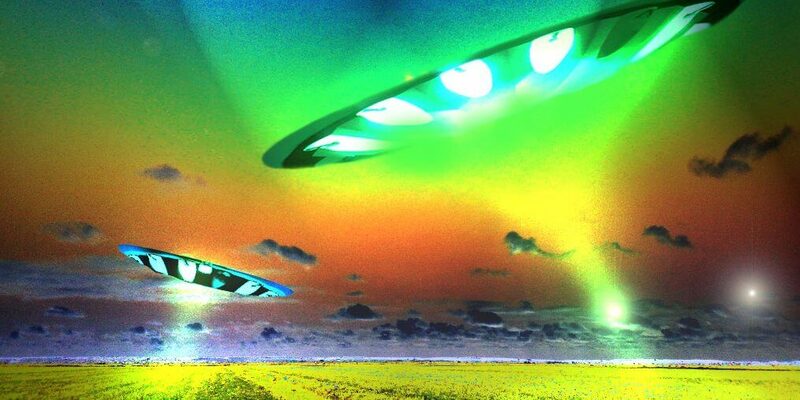 Witnesses in Madrid described the UFO as “flying like a jet plane” but emitting a red reflection and creating no noise. The next, on April 26, was a “cigar-shaped object” observed by a group of people walking through France’s Sare region, near the Pyrenees border. The object was traveling at a high altitude — roughly 6,500 feet, the observers claimed — and heading toward Spain.